I am Ulrik Rasmussen, a computer scientist with an interest in programming languages, type theory, functional programming and logic. As of August 2017, I work as a software developer at Deon Digital. 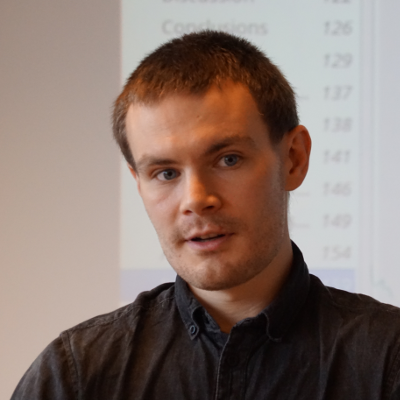 Between 2012 and 2016, I was a Ph.D. student at the Department of Computer Science (DIKU), University of Copenhagen, advised by Fritz Henglein. I worked on regular expression based parsing and domain-specific languages for high-performance streaming processing of string data. My thesis, titled Stream Processing using Grammars and Regular Expressions, was successfully defended at University of Copenhagen on January 23, 2017. Site generated by Hakyll. Icons by famfamfam.